VR certainly has its critics, but at DDnet I find our writers have always been very open to the blossoming technology. Quite frankly, VR is here to stay due to its countless uses outside of video games, namely training or traveling. 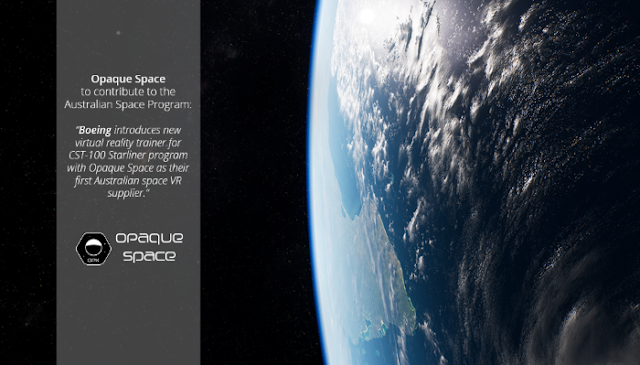 This news combines both of these uses: following the creation of the Australian Space Program, it’s been announced that Melbourne-based Opaque Space has been named as the supplier for Boeing’s Virtual Reality Trainer for the CST-100 Starliner. Opaque Space, founded by Emre Deniz while developing VR game Earthlight, has signed with Boeing Australia to supplement physical training with virtual/mixed reality. The company’s first experience with NASA was actually Earthlight, which was built with the help of NASA Johnson Space Centre and the input from several other facilities. Opaque Space can now add aerospace (and extreme environment) training to its game-based portfolio. “This agreement ... represent a multi-year effort by both Opaque Studios and Boeing Australia to further our place as a nation to contribute to the global human space flight mission. It is both humbling and exciting to be a part of this effort by Boeing to benefit NASA and other space agencies around the world,” said Deniz in a press release this week. The game follows the, um, creatively-named Spelunkette and her friends. Players can adventure solo or with up to three others in local/online multiplayer. The goal is to get through over 100 stages while avoiding all things dangerous: pitfalls, boulders, and wicked creations are aplenty. Litho-stones are hidden throughout the maps and can be used to customise characters with new items, equipments, and pets. Pets! Spelunky Party is coming West courtesy of Square Enix after it originally launched in Japan earlier this year as Minna de Waiwai! Spelunker. It will be released for PC via Steam on for the Switch via the Nintendo eShop on October 19. A free demo will be available starting October 7. We are on the cusp of the release of the SNES Classic, so naturally this is the time Atari decided to reveal details regarding its upcoming tiny console, the Ataribox. 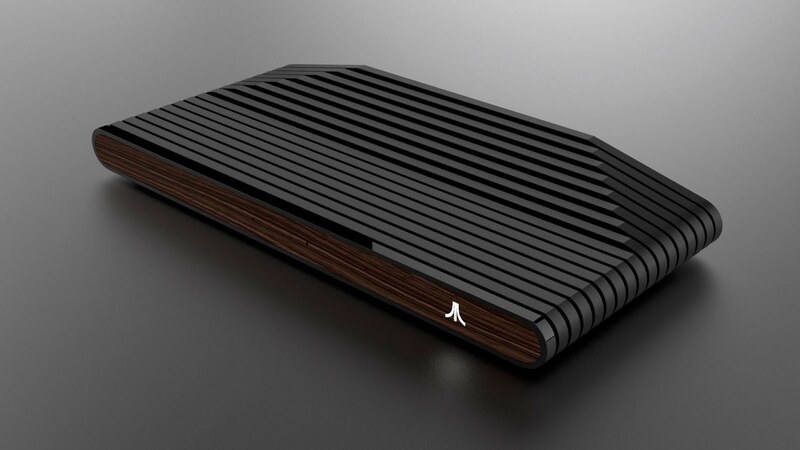 The design itself isn’t an exact replica of an Atari classic console; rather, it is a modern design obviously influenced by iconic Atari products. I’m rather peeved about it, and won’t bother getting into why because it’s a boring rant about crowdfunding, but Ataribox will launch via Indiegogo sometime this fall with a target launch of next spring. There will be different editions (like the real wood seen above) and memory configurations available, so the price will vary between $249 and $299 USD. There are not enough cat games out there, says every crazy cat lady and literally nobody else. Well, resident DDnet Crazy Cat Lady here to tell you about a new cat RPG that is worth a second look: The Chronicles of Nyanya. The cat-filled RPG has already passed through Steam Greenlight with positive feedback, and will be officially released on PC via Steam on November 18 courtesy of Polish indie publisher FatDog Games. The Chronicles of Nyanya is the story of an ordinary cat who goes through some seriously tragically events, leading her to become a not-so-ordinary catssassin on a mission to save Nyanya. The game features classic RPG mechanics, non-linear quests based on the reputation of the main character, and different way to complete said quests (brutal fights, talking, sneaking, puzzle-solving).